We are offering Titanium Forged Elbow to our clients. 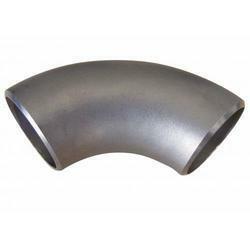 TIMES STEELS are one of the leading Suppliers & Exporter of Titanium Elbow from Mumbai, India. With the years of practice, we are betrothed in providing a comprehensive series of Titanium Elbow that meets on customer’s demand. 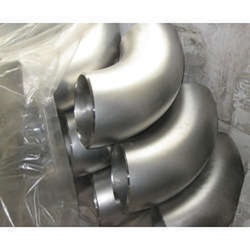 We are one of the leading exporters of Titanium Grade 5 Elbows, which are stockist according to specifications and drawings provided by the customers. These High corrosion Nickel Alloy Material are used in Oil & Gas, Heat Exchanges, Aerospace, Pharmaceutical, Defense. We are rated amongst dominant Seamless Elbow. Seamless Elbow have been specialized in exporting high quality brand of Forged Elbows, socket weld 45 degree, threaded 90 degree, socketweld etc. Offered Seamless Elbow are known among the customers for their easy installation, dimensional accuracy and fine finishing. preciated for its quality, corrosion resistant, and fine finishing. These products are available in different specifications depending upon its size, type and grade. These products are offered at market leading prices.